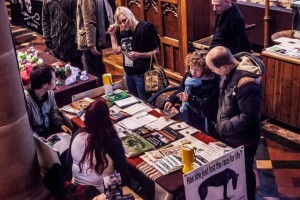 Natalie did a great job organizing the Afg stall with help from campaigners from GAIN (Greyhound Action in Nottingham) and Derby Animal Rights. 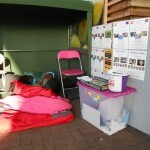 Lots of Afg’s unique merchandise sold as well as many of our awareness leaflets taken. Another great event, not only for raising awareness of the plight of greyhounds, but also for other exploited and abused animals from various other campaign stalls and of course promoting a vegan, cruelty free lifestyle. So hopefully lots more people are now so more aware of these issues. 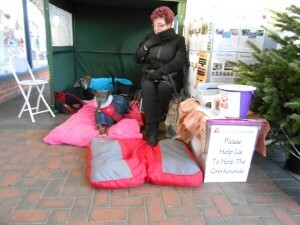 We were given a great space in the sunshine outside the store to accommodate our awareness station, which of course is erected mainly to keep the hounds cozy. We met up with many locals who make a point of speaking to us at this store as we only have an event here once a year and we always receive so much support and encouragement. We were so lucky for so late in the year to have some wonderful mild weather for this 2 day event. 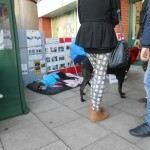 Being so close to Christmas it was so very busy in this popular Norfolk town, meaning we were able to meet and raise awareness to so many more people. Again we were accommodated with such a great space for our base under the cover of Roys department store. 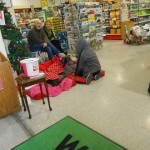 Our other Norwich event for Christmas Eve was at the 2nd of the 3 Norwich Pets at Home stores. 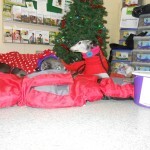 William and Sandra were lucky enough to have a great space allocated to them inside the store, enabling beautiful greyhounds Wilf and Alice to have the luxury they are accustomed to with their cozy beds. Much interest was shown today from scores of customers visiting the store on one of their busiest days of the year. Many of whom were not aware of our work, so it is encouraging to know that Afg are still gaining so much more awareness of our cause. A beautiful mild Christmas Eve with the store heaving with customers. 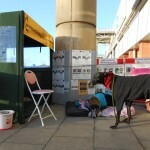 We are always allocated such a great space under the cover of the front of the store. 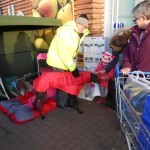 We had constant visits throughout the day from the pet store customers as well as the ones from the other various stores on this busy, popular trading estate. 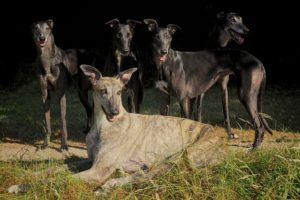 We received many very generous donations and were kept very busy discussing our campaign and stories of the beautiful greyhounds who accompanied us today.